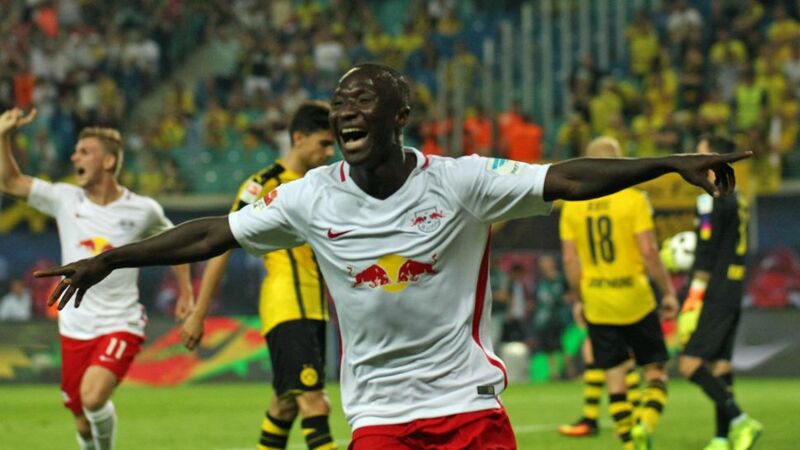 In a game of firsts for RB Leipzig, Naby Keita came on as an 84th minute substitute to net the match winner that stunned Borussia Dortmund. The Guinean combined with fellow debutant Oliver Burke to ensure Leipzig’s home bow in the Bundesliga was a memorable one. Fancy adding Naby Keita to your Official Fantasy Bundesliga team? Sign him up here! "For Naby to get that goal was fully deserved," Burke said after Leipzig maintained their unbeaten start to the campaign. Does Keita also deserve your vote for Matchday 2 MVP? Vote for Naby Keita for #BLMVP on our twitter channel now! Keita scored 17 goals in 59 Austrian top-flight games for FC Salzburg, where he won back-to-back league and cup doubles before signing for Leipzig. "The premiere couldn't have gone any better. I am delighted about our success," the Guinea international said after Leipzig's win against Dortmund.On his social media channels, Keita uses 'Deco' as his middle name, in honour of the Portugal, FC Barcelona and FC Porto great. The 21-year-old's goalscoring debut in Saxony earned him seven Official Fantasy Bundesliga points!